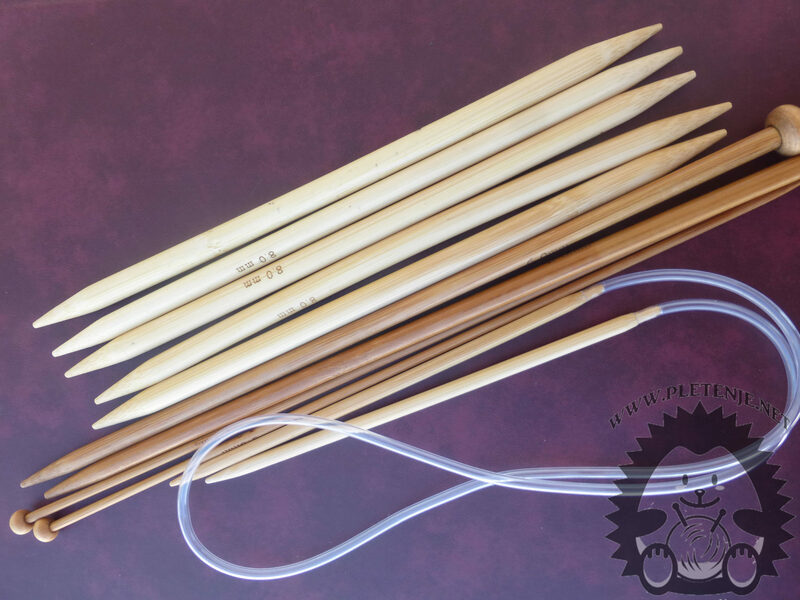 Knitting needles come in different types that are different in terms of finesse, length and fabrication of different material. Straight needles are used in pairs. They have a tip on one and a head on the other end. We combine them by moving the eyebrows from one to another needle, and when we reach the end of the row, we rotate and knit again. So one row is knit from the front and the other from the back. Because of the head on the other end of the eyes we can not go back. Two-pointed needles we will find in a set of four or five pieces. When knitting the knit we do not turn, but we always knit from the same side. They have a tip on either side so you have to be careful when knitting because the eyes can easily be dropped. Used for circular knitting usually in knitting or stocking knitwear. Circular needles consists of a pair of needles made up of flexible nylon wire. They have the tip at each end. We can use them for straight and circular knitting. Because of the flexible wires, they are the simplest way to knit large objects. The material from which knitting needles are made can be aluminum, plastic or wood (bamboo), each material has its own characteristics. Aluminum knitting needles are tighter, less flexible, cold to the touch, but their surface is smooth and knit easier to squeeze on them. From plastic and bamboo are softer, more flexible and hot to the touch. Everyone chooses needles according to their needs and preferences that best suit them. The tip of the needle may be dull but sharp. The needle length is determined by its diameter. There are three standard length ranges of 25, 30 and 35 cm. The length of the needle depends on the number of eyes we use to knit. If the knitwear is very long it is easier to take circular needles.